Reading is a key skill that can help with academics as well as in life. Critical thinking, understanding abstract concepts, effective communication and a slew of other skills can develop once basic reading fundamentals are mastered. On average, kids learn to fully read on their own by age 6 or 7, but reading shouldn’t wait for that age to start. Reading can start from the moment your child is born. There are many benefits to reading to your newborn, and it can be more helpful (and in more ways) than you think. Even if your child is a newborn, reading to them can be extremely beneficial. They get used to your voice and they can experience the quiet calm that comes with storytelling. Even if your child cannot understand the details of the story you’re telling them, they are slowly becoming more acquainted with language and with you. Research shows that the more words a baby is exposed to, the better prepared they are to start reading on their own when they’re old enough. Exposing kids to language can help them develop speaking and reading skills faster and it can also help them build an impressive vocabulary. Studies have shown that children who were read to as newborns generally have a larger vocabulary, as well as more advanced mathematical skills, than other kids their age. 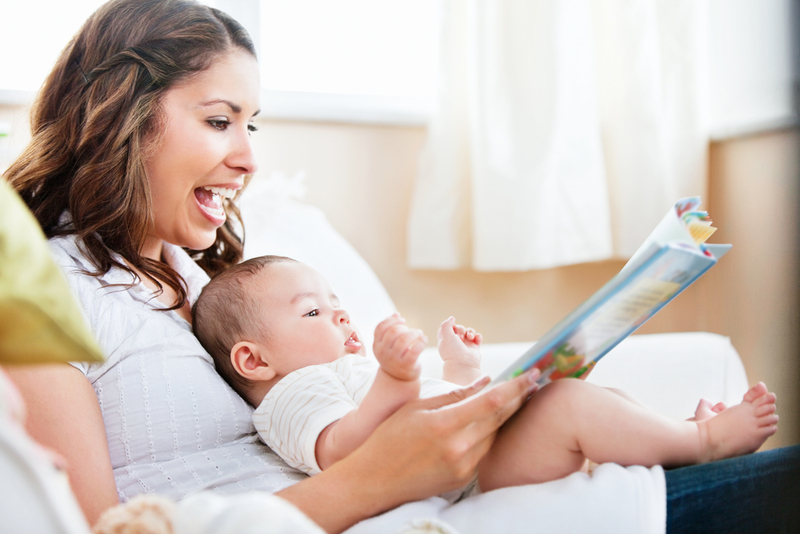 Many parents who read to their newborns may actually notice their little one responding to the rhythmic movement of their parent’s voice with their little arms and legs. Reading has proven to help children learn to listen but also to see and hear what is around them, often eliciting a personal response as they become more familiar and try to interact, too. Reading can help kids of all ages learn to empathize and sympathize. Older children learn to see the world through someone else’s eyes, exposing them to different hardships, problems, and general perspectives. For younger children, simply the tone of voice can say a lot about how a character is feeling as well. Your child can develop key listening skills that can communicate emotion and feeling without using outright words or simply stating so. Since many children’s books include pictures and illustrations, reading to your child can open their minds to images, pictures, symbols, and more. Plus, the visual correlation between the story and the images on the page can help kids develop skills that will allow them to imagine and understand abstract concepts as they get older. 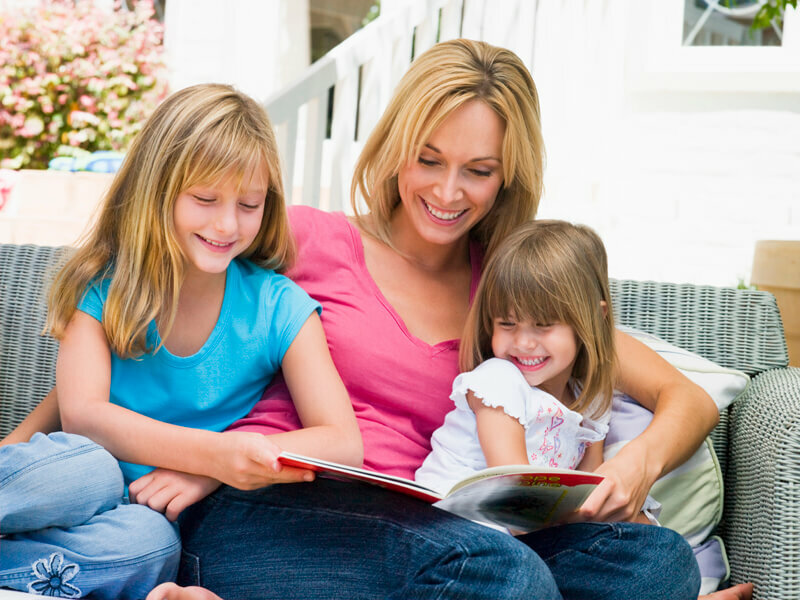 Making it a part of your regular family routine will teach your child that reading is something to be enjoyed, not a chore that needs to be done for school. Reading skills are essential, but they go hand-in-hand with writing skills. Boosting one skill can help improve the other, plus writing can help better your child’s overall communication skills as well. There are several activities you can encourage your children to partake in that can help them improve their writing and reading skills. Kids who read books and varied materials such as magazines and word games tend to be better at writing as well. 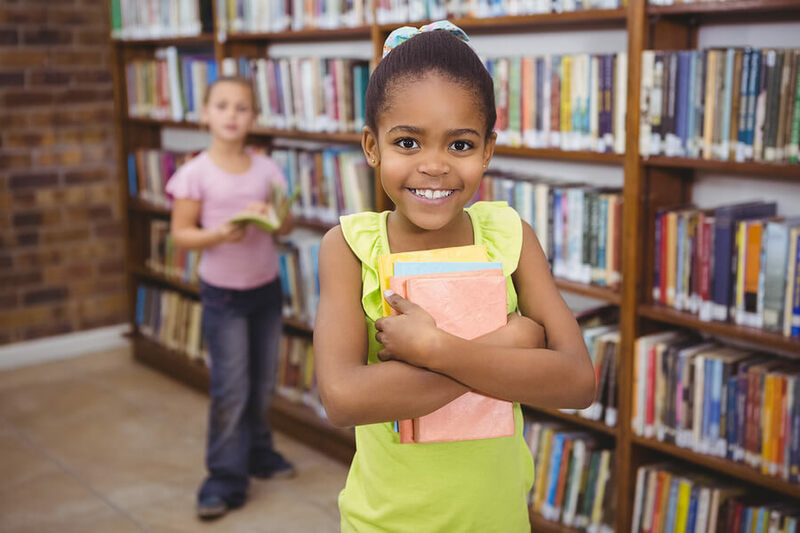 Reading can help kids get a feel for how language works, as well as a deeper understanding of the English language by reading a variety of different material. Not only do kids develop writing skills through reading, but also kids can develop skills like empathy and understanding when they read about different characters, which can contribute directly to their ability to communicate well with others. Journaling is lauded as a highly therapeutic activity for people of all ages, but it also gives kids an easy topic to write about. Getting them into the habit of writing about their day can help them form a habit of keeping a journal, which has also proven to improve memory and can help kids better understand their own feelings and emotions. Plus, having a journal from when they were young can be a really special memento for them to have when they’re older. Word games like riddles, crossword puzzles and word jumbles can be both brain bending as well as fun. These sorts of games can also help to improve problem solving skills, vocabulary, and spelling too. Writing letters is a bit antiquated, but they are still very much appreciated. Skills that come along with letter writing can be helpful as your kids get older, too. Writing letters to grandparents and friends make for great gifts and sweet surprises when they arrive in the mail. The art of writing a proper letter can still come in handy when it comes time for your kids to learn how to write essays in high school and college as well as resumes and other documents as an adult. Like any activity, it helps to make it special by designating a certain spot to write in. 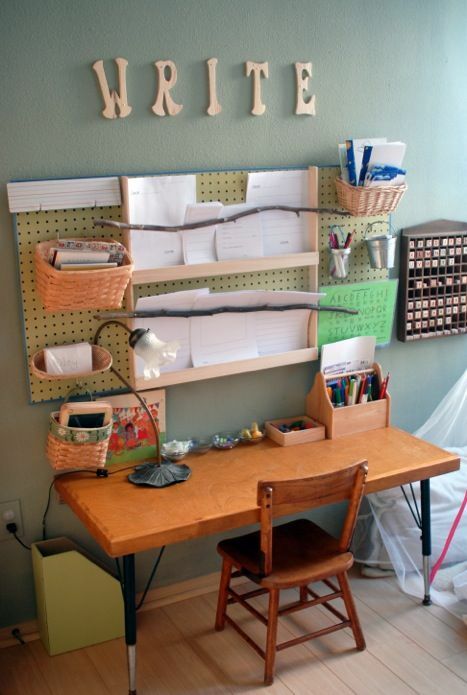 Create a fun, customized/customizable writing space that can encourage your kids to get in the zone. Supply it with notebooks, pencils and other gear – and to make it feel less like school work you can splurge on the colored pens, markers, and other supplies that may not be allowed on their back-to-school list but can still have plenty of fun with at home. Even professional writers use writing prompts now and then. You can give your child some ideas for poems, short stories, or even journal entries by giving them words to use, using a picture for inspiration, or asking them specific questions.